Ian Lancaster Fleming (28 May 1908 – 12 August 1964) was an English author, journalist and naval intelligence officer who is best known for his James Bond series of spy novels. Fleming came from a wealthy family, his father was the Member of Parliament for Henley Educated at Eton, Sandhurst and the universities of Munich and Geneva, Fleming moved through several jobs before he started writing. Fleming wrote his first Bond novel, Casino Royale, in 1952. It was a success. Eleven Bond novels and two short-story collections followed between 1953 and 1966. Fleming was married to Ann Charteris, they had a son, Caspar. Fleming was a heavy smoker and drinker for most of his life and succumbed to heart disease in 1964. 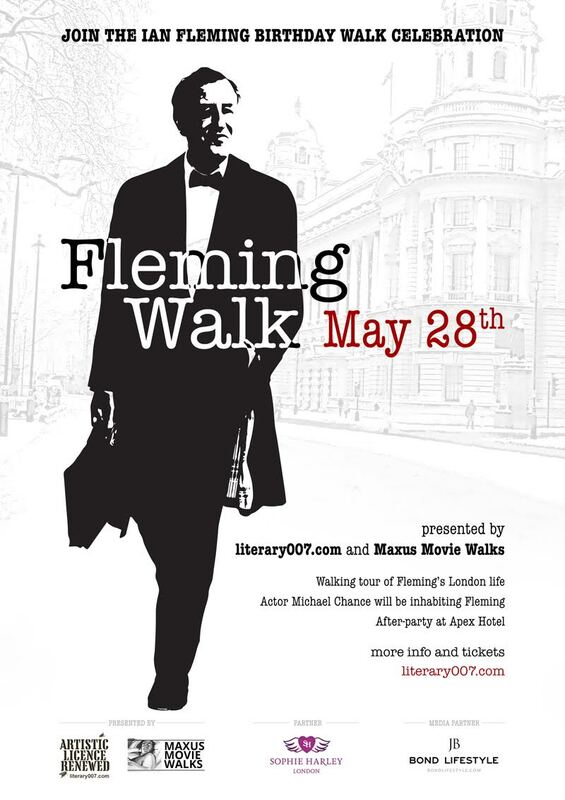 This “special party”, in collaboration between Literary 007 and Maxus Movie Walks, will begin with a special walking tour of Ian’s City life at 5pm from Bank station (May 28). 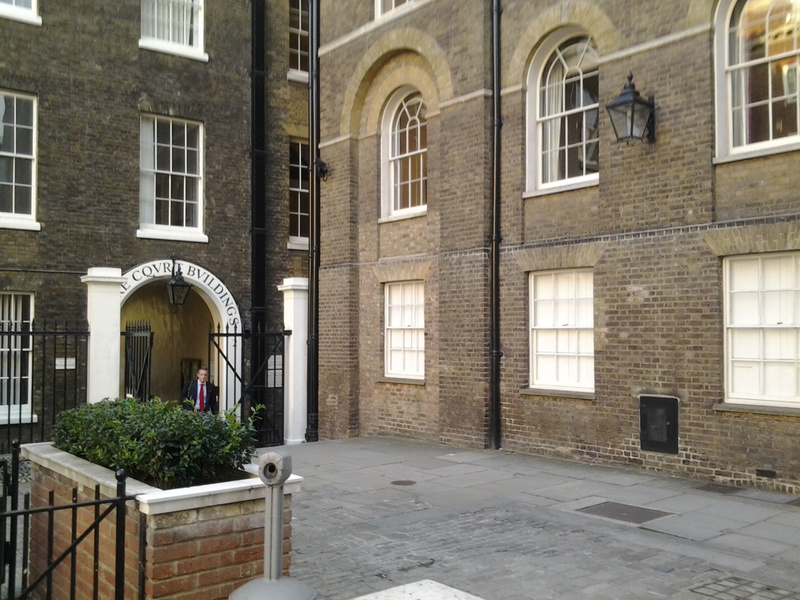 This exclusive version of the Maxus Walks Ian Fleming Tour will include the actor Michael Chance, who played Ian in the one-man show, The Man with the Golden Pen. 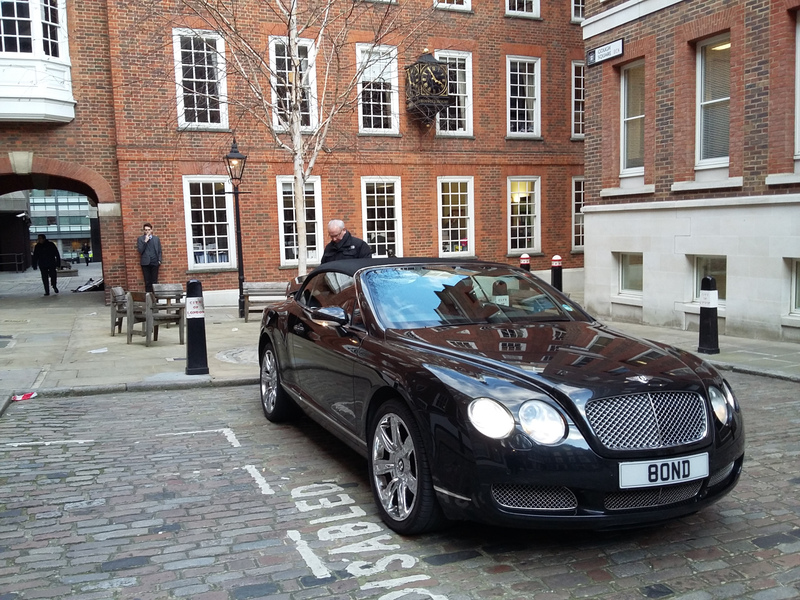 This special ticket-only event will be culminate at the Apex Hotel Bar right outside Ian Fleming’s old writing office at Mitre Court in London for a Dry Martini at 7pm. The event also boasts some special guests including jewelry designer for the Bond films Casino Royale and Quantum of Solace Sophie Harley, the author of upcoming biography of Richard Chopping Jon Lys Turner, Brian Lett QC author of Ian Fleming and SOE’s Operation Postmaster, Trevor Scobie, Remmert Van Braam of Bond Lifestyle and many more! Tickets are £10 pre paid or £15 cash on the day per person.